Bears will exercise Leonard Floyd's fifth-year option, keeping him in Chicago through the 2020 season. I’m hoping Floyd is having a Kyle Fuller career trajectory. Bust? > late bloomer > decent player > Pro Bowl. Interesting. Keep in mind Floyd was the 2016 first rounder... I wonder if the 2017 first rounded (Trubisky) is also following the Kyle Fuller trajectory. Parkey. Nagy wasn't happy that Cody appeared on a talk show. Which one, what did he say? Don't know. Why the heck would you appear on a talk show anyway? For that reason, the final straw, I think Parkey is gone. How the Bears cut him, I don't know. MIllion$ involved. Shouldn't Bears take a look at Chase of Illinois, first team BIG? -They haven't closed the door on Kareem Hunt as a possibility. -Nagy wasn't thrilled about Parkey appearing on the Today Show. -There will be an open competition at kicker heading into next season. 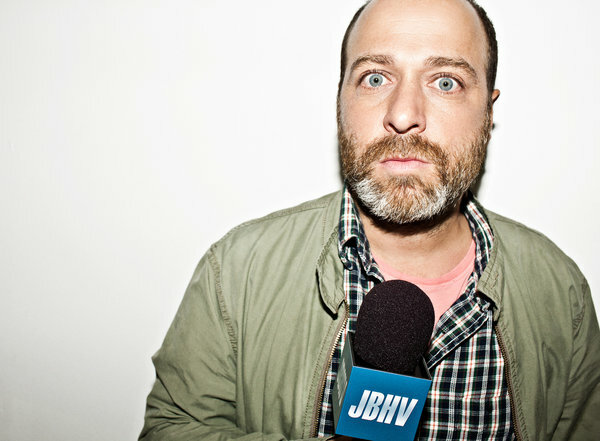 I can't look at Nagy without thinking of H. Jon Benjamin (lead voice actor in Archer and Bob's Burgers). He tried to play the sob story on the Today Show like he was a victim. Didn’t go over well with some players and former players (Lance Briggs) according to Twitter. Not sure what Parkey’s agenda was, maybe trying to look good for a future team. But it came off as being selfish and all about him instead of the team. Loved his quote in the interview "When I saw it hit the upright I thought it was going to bounce through." Why, because you hit the upright like six times during the season and none of them bounced through? Hm, look at that. A competent kicker gets his team to the Super Bowl (with a little help from the refs). This Chiefs - Patriots game has been fantastic. Just a brutal defensive showing in OT from the Chief defense. How do you allow three straight 3rd and 10 conversions on what was basically the same play? Major defensive overhaul obviously needed. 9 Super Bowls in 18 year for the Pats. That’s amazing. The Pats (11), Steelers (8) and Broncos (8) account for 27 of the AFC’s 53 Super Bowl appearances. You must not have watched the Chiefs defense much this season. This was pretty much par for the course for them. The AFC representative from Super Bowl XXXVIII (Patriots vs. Panthers) to the present has either been Brady, Peyton Manning, or Ben Roethlisberger every year except one. The lone time it wasn't, the QB was Joe Flacco. NFL announced international games for next season. Bears will play the Raiders in London, with the game counting as a Raiders home game. The NFL overtime rules need an overhaul. For a game to end like that because of a coin flip is disappointing. That said, the Patriots' run is simply incredible. The NFL overtime rules need an overhaul. For a game to end like that because of a coin flip is disappointing. I seem to be in the minority on this but I'm perfectly fine with the NFL's overtime rules. If the Chiefs defense stops the Patriots on any of the 3 3rd and 8+s the Patriots had in OT, then this is all a moot point. The overtime rules in the NFL, I'd argue, are better than college given the length of the field the defense has to cover and the offenses at both levels. Team scoring a TD on the first possession gives not only the essentially walk-off quality to the game but, since the NFL seems so interested in player safety, there'd be no point for the Chiefs to come out there after that and essentially have a 4 and out. The overtime rules just feels so arbitrary to me. Maybe the simplicity of this solution is what appeals to me, but I'd love for the NFL to scrap 1-2 preseason games for the wear and tear on the players' bodies and have the overtime be a full 15-minute period. Speaking from a financial standpoint, the potential advertising revenue has to be appealing. Maybe the simplicity of this solution is what appeals to me, but I'd love for the NFL to scrap 1-2 preseason games for the wear and tear on the players' bodies and have the overtime be a full 15-minute period. I assume you mean full 15 minute OT in the regular season as it's 15 in the playoffs. Hard to blame the OT - KC had plenty of opportunities to take care of business in regulation, so it's hard to place the blame on their loss on the coin toss or the current OT system. They can just as easily blame that OLB for being in the neutral zone on what would've been the game-ending INT. Maybe I'm old school, but I would consider scrapping OT in the regular season if wear and tear is an issue - ties ended up being the primary "tiebreaker" when it came to making the playoffs (see Vikings and Steelers), and it's definitely the fairest measure to compare team performances. If you do that, maybe it would be easier to justify a change to the postseason OT. For me, NFL overtime is simply not a fair and balanced system. In order to measure how good a team is, I believe you have to see both the offense and defense on the field. Not just one unit. The current NFL system allows for these scenarios where one side of the ball may never get on the field. Don't want to answer for him but I assumed he meant one full 15 minute period and which ever team has the most points at the end of the period wins as opposed to the TD/Safety in the first possession or the TD/Safety/FG in the second possession. I should have changed my avatar a long time ago. For the sole purpose that at least one person got the reference, I'm glad I did. Bears get one of their key free agents inked. RT Bobby Massie has signed a 4 year extension that will keep him in Chicago through 2022. Terms of the deal have not yet been disclosed. The team that loses the toss never touches the ball 25% of the time. The W/L is 60/40 for the coin toss winner. Honestly I thought it would be higher than that, but it's a substantial advantage.